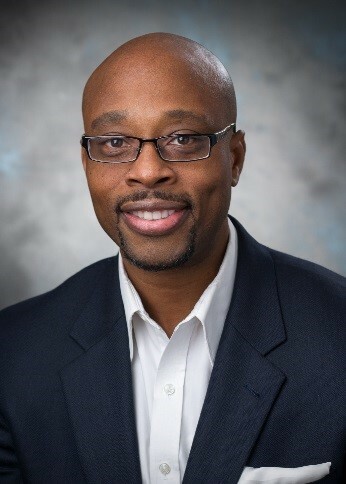 Advocate Health Care is pleased to announce the appointment of Ibe Mbanu, MD as senior medical director for Advocate Operating System (AOS) and Advocate Medical Group (AMG) Ambulatory and Hospitalist services. Dr. Mbanu has served as a physician executive in various leadership positions with a focus on the delivery of services along the care continuum. He has also maintained clinical practice for over a decade. In this role, Dr. Mbanu will leverage his clinical expertise and experience in medical management to optimize quality, safety and the patient experience for the medical group. As senior medical director for AOS, he will work closely with site and system leadership to identify operational opportunities; thus providing strategic direction and management of the operational functions through the AOS team. “Dr. Mbanu is a passionate physician and executive with extensive experience and a proven track record of success,” said William Santulli, executive vice president/chief operating officer for Advocate Health Care. Prior to joining Advocate, Dr. Mbanu served in a dual capacity as chief of the adult hospitalist department and director of medical affairs for St. Mary’s Hospital, flagship facility for Bon Secours Health System in Marriottsville, Md. He has also served as board director and executive for various medical societies and state organizations. Dr. Mbanu obtained his Lean-Six Sigma Green Belt certification, and subsequently served as project manager for the creation of a hospitalist-led intermediate medical critical care unit and as project management advisor for the clinical observation unit at St. Mary’s Hospital in Richmond, Va.
Dr. Mbanu is dual-board certified in internal medicine and occupational medicine. He received his medical degree from Wayne State University School of Medicine in Detroit, Mich. and completed his fellowship training at Harvard T.H. Chan School of Public Health in Boston, Mass. Dr. Mbanu received a master’s in business administration from Yale University in New Haven, Conn. Additionally, he received a master’s of public health from the University of Michigan. For more information about Dr. Mbanu, connect via LinkedIn at http://www.linkedin.com/in/IbeMbanuMD.